The United Nations faced criticism Friday after naming Zimbabwean President Robert Mugabe a "goodwill ambassador" to promote health causes, despite the country's dire health crisis under his rule. Mugabe, 93, was in Uruguay for the announcement by WHO director-general Tedros Adhanom Ghebreyesus, who said he was "honoured to announce that President Mugabe has agreed to serve as a goodwill ambassador on NCDs for Africa." Tedros hailed Zimbabwe as "a country that places universal health coverage and health promotion at the centre of its policies to provide health care to all." The appointment angered international rights campaigners and opposition parties, who also accuse Mugabe of violent repression, election rigging and presiding over the country's economic ruin. "Given Mugabe's appalling human rights record, calling him a Goodwill Ambassador for anything embarrasses WHO and Doctor Tedros," Iain Levine, programme director at Human Rights Watch, said on Twitter. The main MDC opposition party in Zimbabwe described the appointment as "laughable". "The Zimbabwe health delivery system is in a shambolic state, it is an insult," MDC spokesman Obert Gutu told AFP. The state-run Herald newspaper reported the appointment under the headline "New feather in President's cap". 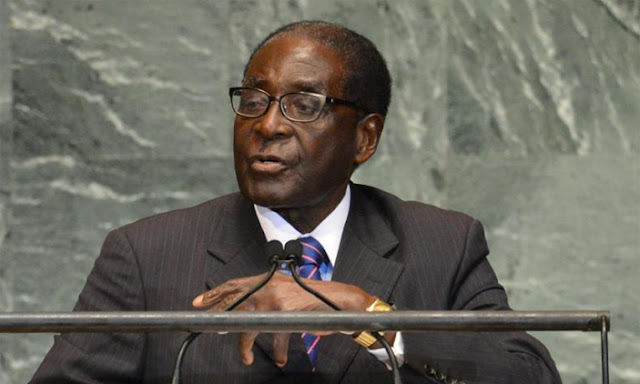 It reported that Mugabe told the WHO conference in Montevideo on Wednesday that Zimbabwe had developed a national policy on NCDs and that he had called for more funds for developing nations. According to WHO, non-communicable diseases are by far the leading cause of death in the world, killing more than 36 million people each year. UN agencies such as WHO, UNHCR and UNESCO all appoint goodwill ambassadors to highlight specific causes and often draw publicity. UNICEF ambassadors currently include singer Katy Perry and tennis player Serena Williams.